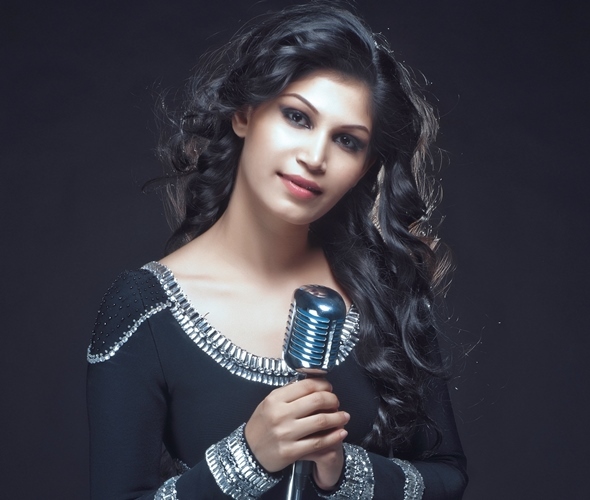 At the age of thirteen, she participated in a major music reality show and since then, there has been no looking back for singer and performer Purva Mantri. After starting out as a back-up vocalist with some of the biggest names in the music industry, Purva has now made a name for herself as a spirited performed on stage and an independent artiste to reckon with. In this interview, she talks about her journey as a singer, the way reality shows help new talent, her inspiration and upcoming projects. You were one of the youngest contestants on Indian Idol ever. How did that happen? Music was always there in the family. My mom, who is classical singer, is my guru. I was passionate about music since childhood and was sure about carving out a career in the same field. I was in 11th standard when I auditioned for Indian Idol for the first time. I got rejected then but was accepted the second time around. My journey in the music industry started from that point. Do you think reality shows provide a good platform to young talent help in propelling their career forward? Yes, reality shows do provide a good platform to young talent. In smaller towns, there is no dearth of talent but people do not get a platform. But, reality shows give everybody an equal chance. You can audition for these shows no matter which part of the country you come from. My hometown is Indore. For me, getting a chance to participate in a show like Indian Idol and appearing on television was a huge thing. The digital medium has also helped a lot of singers. Yes, in the present scenario, the biggest medium is digital. You can reach out to people all across the globe and not just your own country. It is a very big and very important platform. There are a lot of artistes like Jonita Gandhi who put their work on YouTube and were then noticed by the people in the industry. These days, almost every film launches a new singer. As a young singer, how do you look at this competition? Yes, there is a lot of competition today. I am concentrating on my own independent music. I am not trying to compete with anybody. I just want to do my best. Last year, I released a single with Zee Music Company. When you work make independent music, people recognise you both from you voice and your face. That definitely helps in building a connection with the audience. Are you interested in singing for films? Yes, two of my film songs are expected to come out in the next couple of months. These days, music directors try out multiple voices for one song. What is your take on that? That is a common practice these days and I also keep dubbing songs every now and then but I cannot wait for that one big film song to put me out there. I want to create a brand for myself through the kind of music I do as an independent artiste. All the legendary singers also through this, so I cannot complain about it. One should also try to look at this from the music director’s point of view. There are so many singers today and a music director wants to try out different singers to make sure that he gets the right voice for the song. Is there any singer whom you look up to? What do you prefer – singing live or recording in a studio? Both are very different experiences. In a studio, you are working in a very controlled environment and you get several opportunities to get the perfect take. When you are performing live, you have to interact with the audience and keep them engaged. Is there any song from the recent past which you wish you had sung? I would have loved to sing ‘Darling’ from ‘7 Khoon Maaf’. That song had so many expressions and was very different from most of the songs I had heard back then. Also, it was sung by Rekha Bhardwaj ji and Usha Uthup ji, two of my favourite singers. Your fans fondly call you the Indian Shakira. How did that moniker come into place? I used to work as a back-up vocalist for Sonu Nigam, Rahat Fateh Ali Khan, Vishal- Shekhar, Rahul Vaidya and Abhijeet Sawant. Later, I started performing as a solo artiste. I used to perform a lot in Gujarat and a lot of people started calling me Shakira for some reason. After that, a few publications also mentioned me as the ‘Indian Shakira’. I love Shakira, so I was absolutely fine with being called that. I am working on an exciting project the details of which will be announced soon.